A crazy idea began at Neshaminy. For repayment of a debt to his father, William Penn received a land grant in the American Colonies from the king of England. Instead of assuming that the king’s grant gave him property rights, William Penn had what many people considered a crazy idea, he would buy the land from its current inhabitants, the American Indians. In 1682, William Penn made his first purchase from the Lenape chiefs. The land was bounded on the south by Neshaminy Creek. A year later, Penn’s second purchase was bounded on the north by Neshaminy Creek, making what is now Neshaminy State Park the core of the future Commonwealth of Pennsylvania. The major portion of what is now Neshaminy State Park was a gift to the Commonwealth by Mr. Robert R. Logan. A descendant of James Logan, colonial secretary to founder William Penn, Mr. Logan’s estate “Sarobia” was given to the state upon his death in 1956. The property had been a wedding gift to Robert Logan and his wife, the former Sarah Wetherill of Philadelphia, by the bride’s parents. The Logan’s home has been removed, but many of their furnishings and belongings are now in the collections of the Pennsylvania Historical and Museum Commission. Dunks Ferry Road, forming the eastern boundary of the park, is one of the oldest roads in Pennsylvania. Beginning in 1679, Dunken Williams operated a ferry across the Delaware River. The road gave travelers access to his ferry, and today, over three hundred years later, “Dunks Ferry” Road perpetuates both his name and enterprise. During the mid-1700s, a large inn was built to serve travelers. Operated by many owners over the years, the Dunk’s Ferry Inn had a colorful history. One of the most successful owners was John Vandergrift, who also had a profitable shad fishing business for thirty-nine years during the late 1800s. 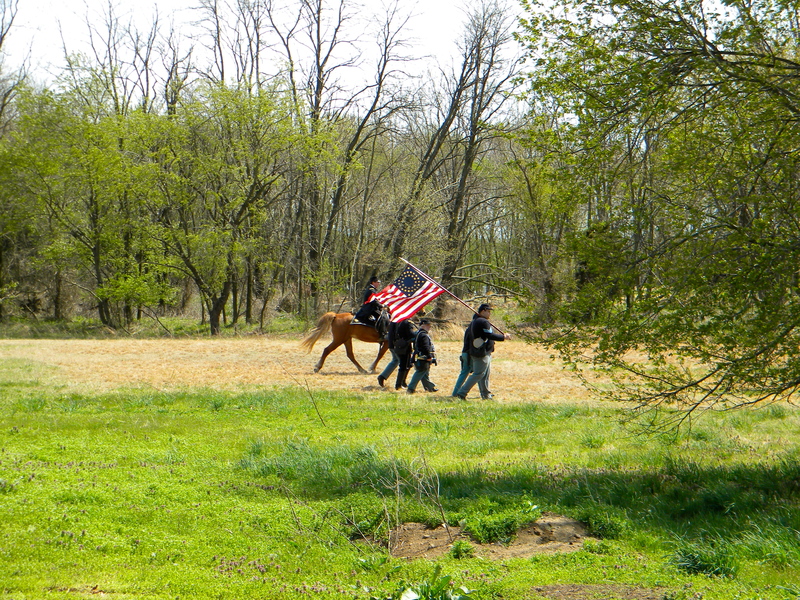 When we pulled up though, we discovered that there was a Civil War Reenactment going on. I was very excited! I had never been to one before. 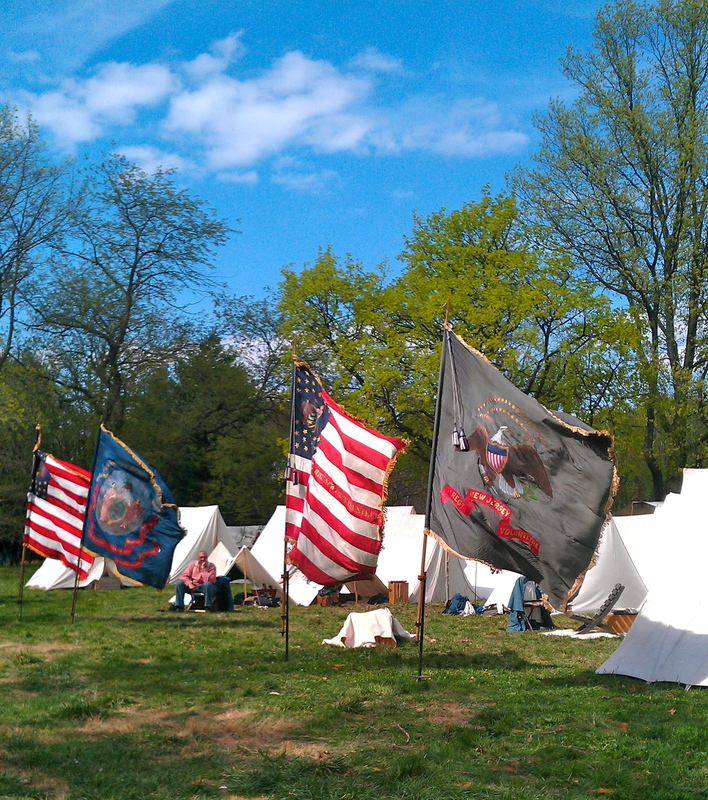 We found parking and walked around the encampments. There were several vendors selling period wares, like a tinsmith and an armory; and another selling dresses and sewing patterns. We arrived just in time to walk around the grounds and see all there was to see. 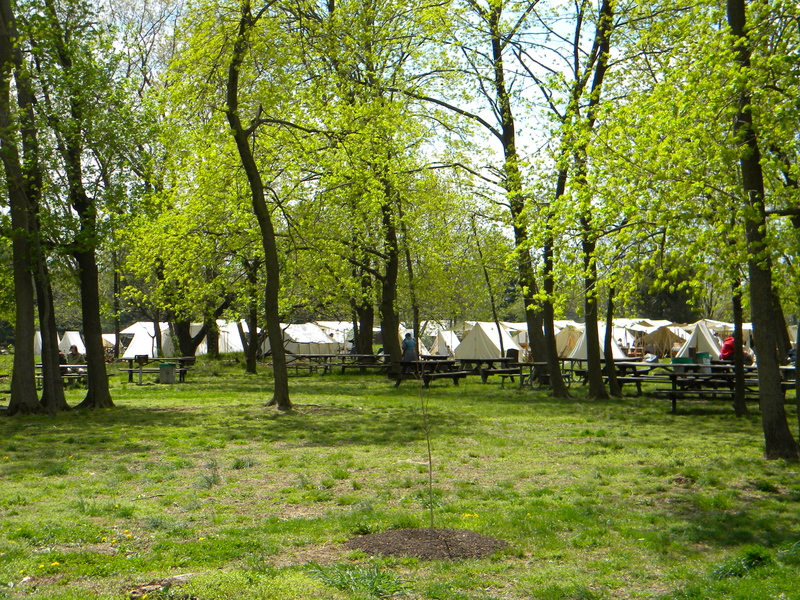 The civilian camps were set up and simulating the home-front activities, like making lace or sewing, and cooking on campfires. 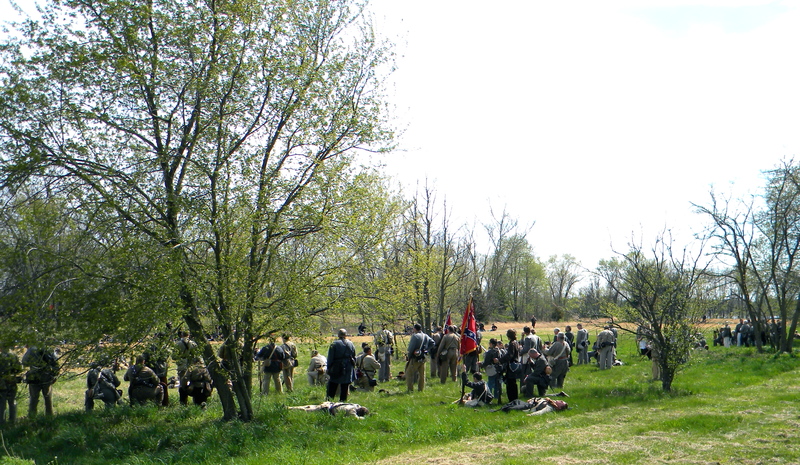 We started to leave and realized everyone was gathering and setting up for the battle, so we decided to stick around. It was worth it! Since we kind of stumbled into the event, we didn’t really know what was happening. Later, when we got home I looked it up and discovered they were focused on The Campaign of Mine Run 1863: New Hope Church and Payne’s Farm. 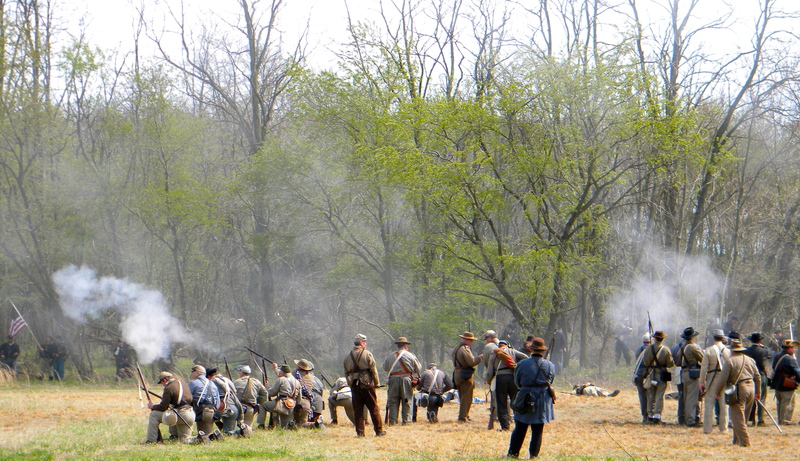 The event was founded in 1990 by Scott Shablin and Andy Waskie with assistance from Jane Peters-Estes and the co-sponsorship of: the 28th Pennsylvania Historical Association; G.A.R. Civil War Museum & Library; Bensalem Historical Association; and later the Delaware Valley Civil War Round Table; and 1st Battalion Army of Northern Virginia (ANV). 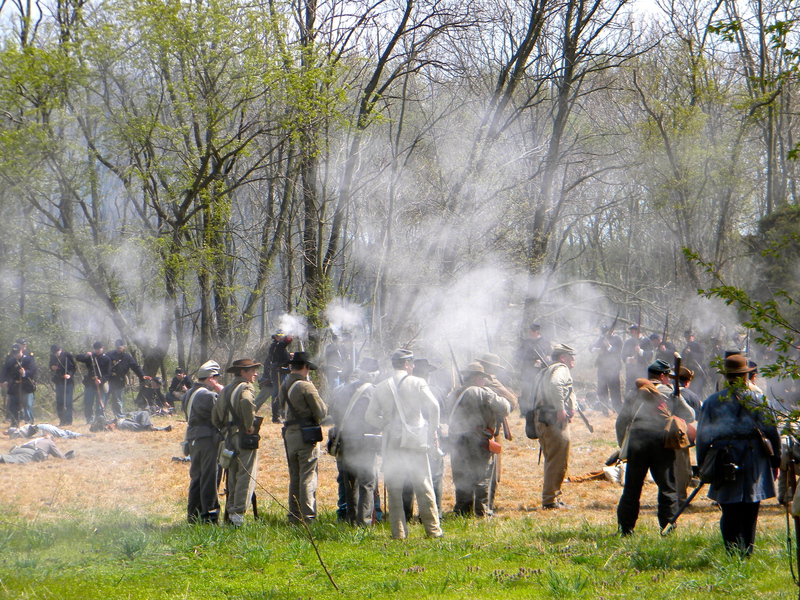 This group and the event has become one of the largest historical recreations of Civil War history on the East Coast. 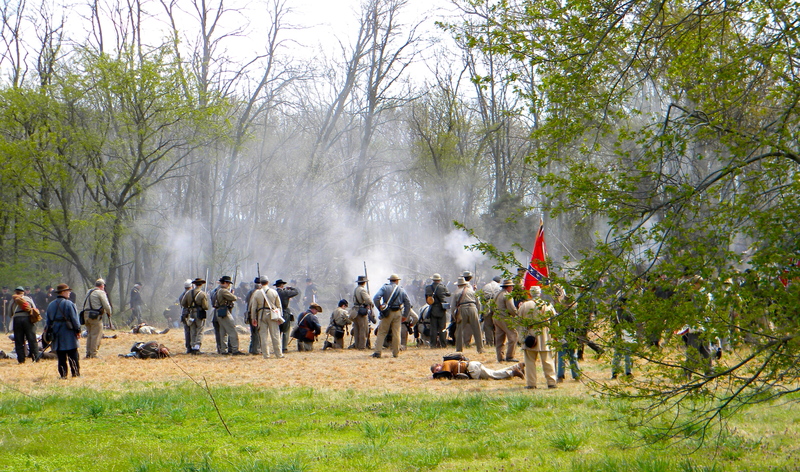 A major mission of the event and its co-sponsors is raising funds for historic preservation of Civil War history sites. Very interesting! We had a good time and will be looking out for future events. 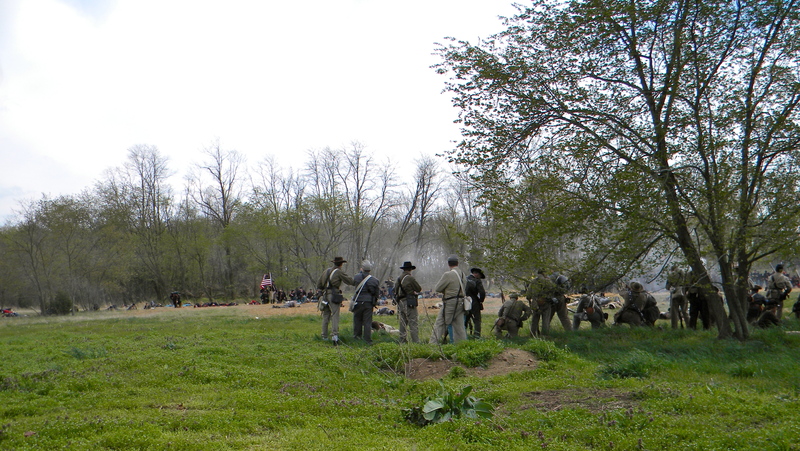 The Union soldiers were hiding in the trees! This entry was posted in Adventure Time. Bookmark the permalink. Great post! I think it’s your best one yet. The food postings are separate in my mind. Those are all great! The last photo is basically amazing. I love the color of the sky!! I’m sad I missed this day! It sounds like an amazing time. It was totally unexpected. Sometimes the best things are.